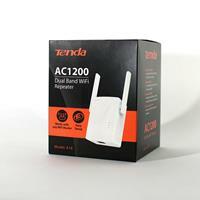 The Tenda D301 is an 802.11n-compliant device that combines the function of high speed ADSL2+ modem, wireless router and 4-port switch. 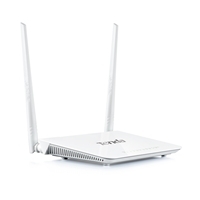 It delivers up to 8x faster wireless speed and 6x farther range than 802.11g. D301 also supports the latest ADSL2/2+ standards to provide higher performance and longer reach from ISP's DSLAM. 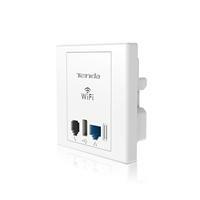 Connect it to the Internet service and provide up to 300Mbps wireless network for sharing high volume files, streaming music, videos, even online gaming among multiple computers. Additionally, with versatile USB port, you can easily share files and media from an external USB storage device with your friends or family. Storage Temperature: -40C ~ 70C. Step 1. Connect all cables following the QIG. Step 2.Insert the CD into your PC's drive.